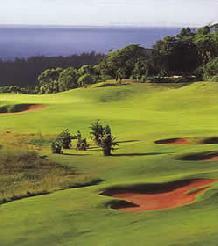 The San Lameer golf course is situated on the Durban South Coast and is currently rated in the top 30 South African golf courses. 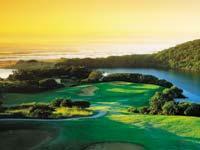 Opened in 1922 the course is set on the largely unspoiled South Coast of Kwazulu-Natal. 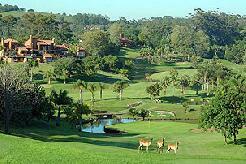 Fashioned out of the dense coastal bush and set in a nature conservation area with its rich bird life, San Lameer is a nature lovers paradise. 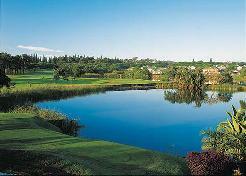 Designed by Peter Malkovich and Dale Hayes, the course features lots of water and magnificent views. 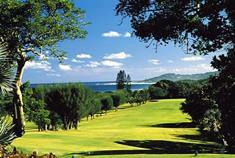 This estate course is extremely conscious of protecting the environment and was designed to avoid areas of sensitive vegetation and to utilise natural features. This course is a nature lover�s dream with over 195 species of bird, groups of Impala, reedbuck and bushbuck sightings recorded being recorded. 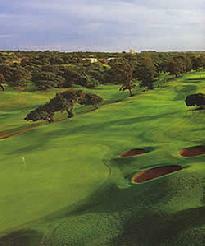 The fairways are narrow where many different challenges present themselves; right - to - left doglegs, large bunkers, thick rough and lots of water hazards (take plenty of golf balls with you)! 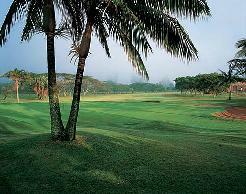 The greens are fast yet smooth. 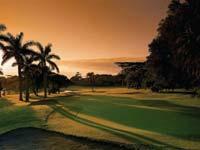 To enjoy this course you will have to play conservative golf, straight down the middle, and stay out of trouble. There is certainly an interesting blend of holes on this tight economical layout, all memorable and all capable of frustrating the player who throws caution to the wind. 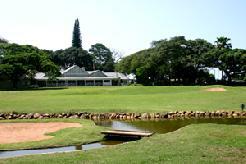 Besides the impenetrable bush, there is an abundance of water on the course, but conservative playing routes are always available. Signature Hole: It has often been said locally that no finer collection of par three�s exists anywhere, and the 4th hole, interestingly, is almost a carbon copy of Augusta National�s famous 12th.